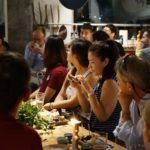 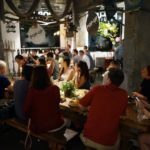 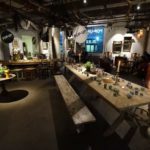 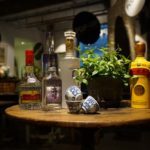 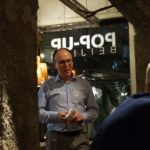 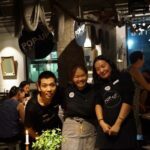 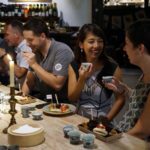 By Jim Boyce | Interior design shop / wine bar Pop-Up Beijing has set the standard for World Baijiu Day parties in Beijing since I launched the project in 2015. 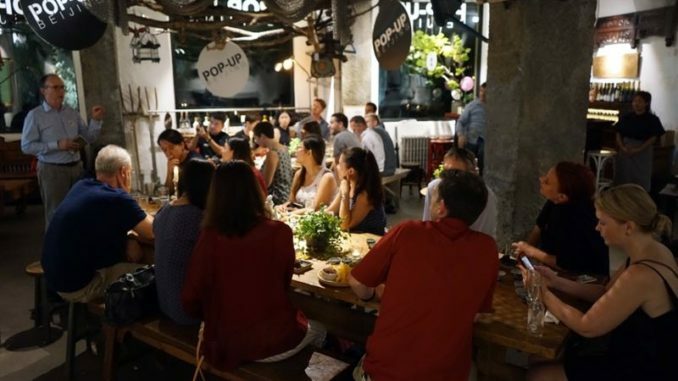 That first year, when some were skeptical about celebrating China’s national spirit, Pop-Up embraced the idea and hosted over 60 people during a day-long tasting of local and international brands paired with baijiu-inspired “drunken shrimp” pizzas from Gung Ho. 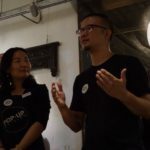 In 2016, Pop-Up shifted gears and partnered with Good Works for a fund-raiser that featured baijiu coffees and teas. 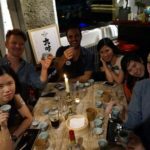 The moutai-style chocolate coffee that day still ranks among the best baijiu concoctions I have tasted. 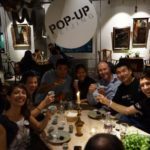 Pop-Up was pretty quiet before revealing details in the first week of August about a food and baijiu pairing with caterer Sue Zhou. 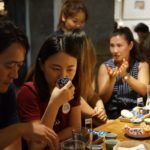 The event featured everything I believe World Baijiu Day should be about: baijiu skeptics realizing the diversity of this spirit, people trying and sharing thoughts about brands, and a nice lineup of snacks to enjoy with the booze. 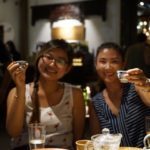 There were lots of good vibes and lots of new friendships made. 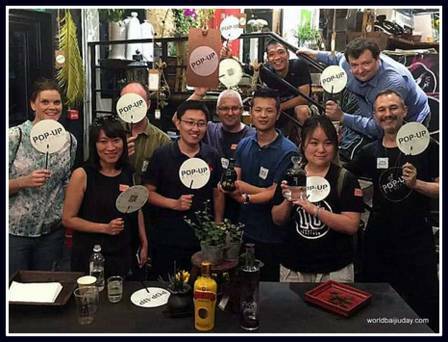 Even better, Nine Inch, one of my favorite Beijing craft beer makers, released its first attempt at a spirit, while Glenn Schuitman of Pop-Up and regular customer Brian Hewson provided fun info on the baijius.